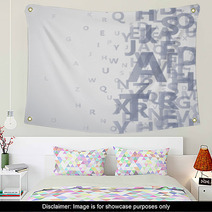 The Abstract Alphabet On White Background # Vector decorative pattern is on hand in an array of home decor goods from wall tapestries, to duvets, to custom size floor mats and custom size window curtains, and even baby pillows or towels. 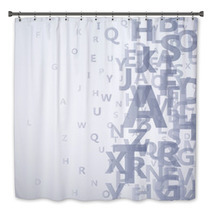 Entire Alphabet themed collections are available for your bedroom, bathroom and almost any room in your house. Have you thought about a new look for your family area? 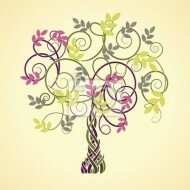 Let us change the main color or any color within this pattern to ANY shade you desire. 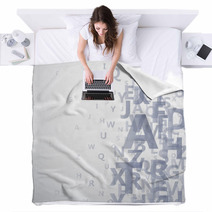 VisionBedding can also print a unique message anywhere within the graphic. Our custom choices are almost endless. We can customize the orientation or the central object within this particular Abstract Alphabet On White Background # Vector pattern. 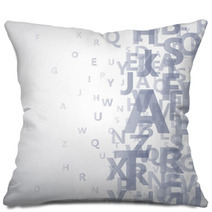 Use Abstract Alphabet On White Background # Vector backdrops to energize your space! Everyone treasures photos! 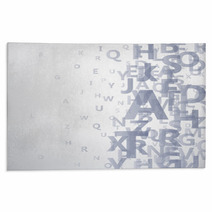 Cheer your company by incorporating a backdrop into your living spaces. When your loved ones come over, you can build memories that will be special for years to come. It's important to remember that the backdrop should develop the aesthetic of your home, so select one that suits your home. 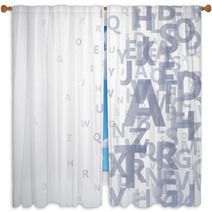 Often, backdrops are incorporated in a room with a lot of natural light. No one likes gloomy photos! Make sure you place your backdrop in a spot where your faces will be lit up. Backdrops are entirely movable, so use it outdoors when it’s nice out and pull it inside during the winter. If your living room has some sunshine, try placing the photography backdrop in front of a white or cream wall. Not only is your wall embellished, but the backdrop also provides an area for visitors to flock together and get photos. A colorless backdrop is dull. If you desire an enjoyable photo, try using a backdrop with lighter colors so it better reflects more light and looks better. You wouldn’t want your shots looking like passport photos. 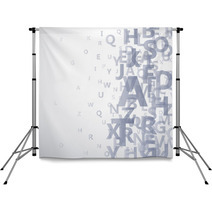 There are plenty of sites to install your backdrop. 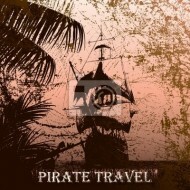 Just check that it fits the theme and the arrangement gives your photos enough natural light! Interior design projects can be a real treat to take on. And you may be tempted to finish your design all at one time. However, you won’t want to hastily make a purchase you may end up detesting in the future. 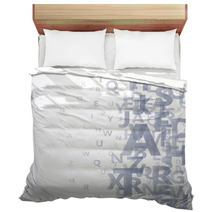 As such, when choosing Abstract Alphabet On White Background # Vector items for your home, take your time and even sleep on it for a day or two before you resolve to go finalize your piece.